On the morning of October 22, runners lined up within sight of the Washington, D. C. statue depicting Marines raising the flag on Iwo Jima, ready to take on the challenge of the Marine Corps Marathon. Twenty-thousand embarked on the 41st running of this 26.2-mile journey — as another 10,000 queued near the Smithsonian Castle along the national mall to start a 10k (6.2-mile) course. 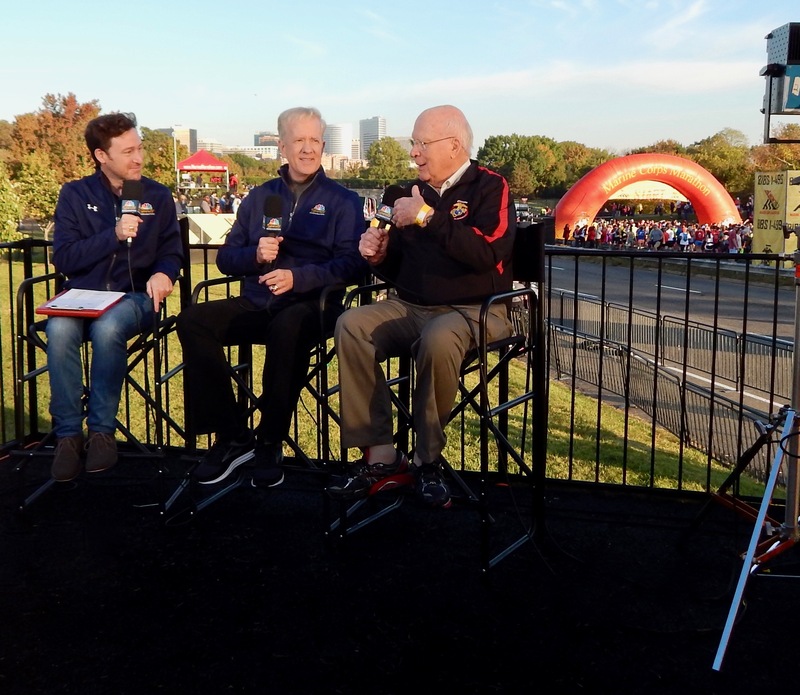 I again had the privilege of co-hosting TV coverage of what’s known as “the People’s Marathon” — joining Michael Jenks to bring the race’s excitement and pageantry to viewers of NBC Sports Washington. 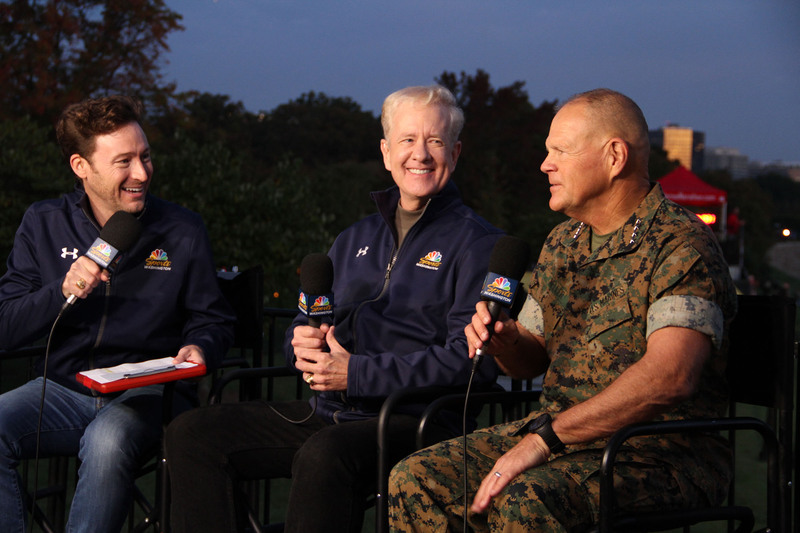 Overlooking the MCM starting line with co-anchor Michael Jenks during our coverage on the 41st Marine Corps Marathon on NBC Sports Washington. Thousands of spectators woke up early this Marine Corps Marathon Sunday in order to cheer on runners. The crowds included plenty of faces familiar to those who follow national politics. As thousands of runners make their way across the starting line of the 42nd Marine Corps Marathon, Senator Patrick Leahy (D-VT) recalls his and other lawmakers’ work in 2001 to ensure the MCM was held that year — despite the date falling just weeks after the devastating 9/11 terrorist attacks — one target of which was the Pentagon, which runners passed on the course that year.